Drayson Racing Technologies LLP (DRT), the pioneering low-carbon motorsport R&D business, announced today that the Drayson Racing Formula E Team is the first Official Team Entrant in the new global FIA Formula E Championship. The Oxfordshire, UK-based outfit is the first team to commit to the zero-emissions series and will run in the inaugural season of the Championship in 2014, featuring cars racing on city street circuits powered exclusively by renewable electric energy. Drayson will field a two driver attack and is already talking to a number of the world’s leading racing drivers about seats with the team. During 2013, it will work with Spark and Formula E Holdings to test the Formula E customer car and to promote the championship around the world in the 10 host cities planned for the first season. 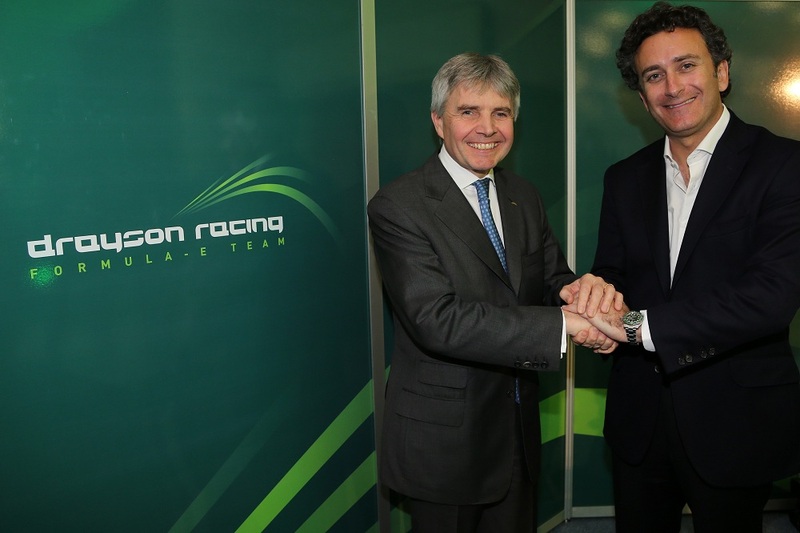 Drayson Racing will run the new Formula E customer racing car in 2014 which will be supplied by the promoter Formula E Holdings and is currently being developed by Spark and McLaren. From 2015, the team plans to be a constructor in its own right fielding a new drivetrain developed from the advanced DRT 4X2-640 electric system featured in the Lola-Drayson B12/69EV car that set a new electric record last summer at the Goodwood Festival of Speed. The team is a wholly owned subsidiary of Drayson Racing Technologies which has been pioneering green racing initiatives since 2007 and has been acting as Scientific Adviser to the FIA Formula E Championship during its establishment over the past few months. Alejandro Agag, Chief Executive Officer of FEH, said: “Today is a very special day for the FIA Formula E Championship. Announcing Drayson Formula E team as the first of the 10 teams proposed to take part in the competition is a very important step in the creation of the first sustainable global motor sport Championship. “Having a team like Drayson join our ranks, gives the FIA Formula E a true electric racing DNA, as the British company represents, like no other, the passion for research and technology in the field of green motor sport.